Carcharodon megalodon fossil shark tooth; Aurora, North Carolina, USA. Photo by James St. John/Flickr (Use Permitted with Attribution). 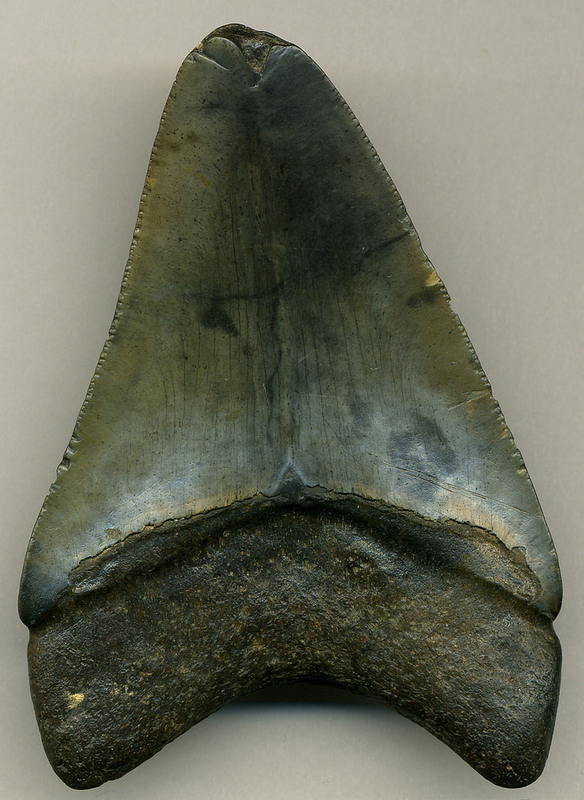 A fairly common fossil on the Georgia coastal plain, fossilized shark teeth are prized by collectors. These prehistoric shark teeth are found in a range of colors - most common are black or gray, less common are the white, brown, blue, and reddish-brown teeth. 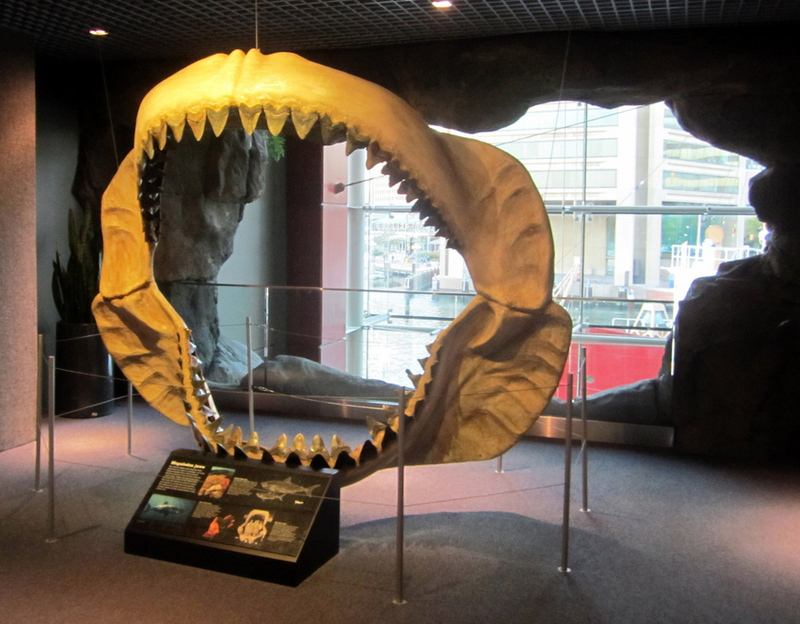 Many types of sharks lived in prehistoric Georgia - the oldest teeth date back about 375 million years. 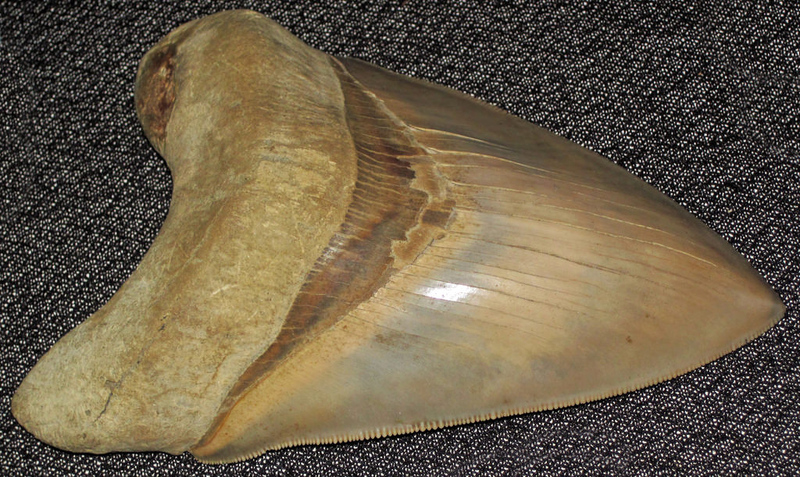 One of the largest extinct species of shark tooth was Otodontidae Carcharocles megalodon (whose fossilized teeth are pictured here - North Carolina specifically names megalodon teeth as the official state fossil).